Larger than the state of Rhode Island, it can be difficult to experience all the park has to offer. Hoping on your bike, however, gives you the same intimate experience you get from hiking or camping with the ability to cover more ground and see more. Here's what you need to know about biking in Yellowstone National Park. Nestled deep in the Rocky Mountains, the park sits atop a volcanic crater known as the Yellowstone Caldera. As such, there are deep valleys and rolling hills to navigate. According to the National Park Service, there aren't bike paths along the paved roadways in Yellowstone. Especially on winding, narrow mountain roads, this can make biking a bit more dangerous. 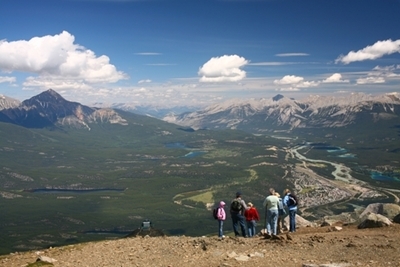 During peak seasons there is considerable traffic. Snowbanks can be sizeable well into May and June, making the roads even more treacherous. A green Marmot Spire Gore-Tex Jacket is helpful for staying visible to vehicles. And to stay safe, you should always wear a helmet. The unique geography of the park means Yellowstone experiences weather that can quickly become dangerous. Blizzards, impressive rain storms and serious wind can descend very quickly, and if you're biking deep in the park, you could run the risk of getting stranded. Be sure to always share your route with park staff or friends and family. Similarly, use the best available, most current forecast to plan your ride and make an informed decision about where to go and for how long. While Yellowstone is home to cougars, wolves and grizzly bears, there are more pertinent risks when it comes to wild animals. That isn't to say that these predators can't be dangerous, but some of the park's herbivorous residents can cause greater problems. One of the continent's largest animals, a bison encounter could be dangerous. 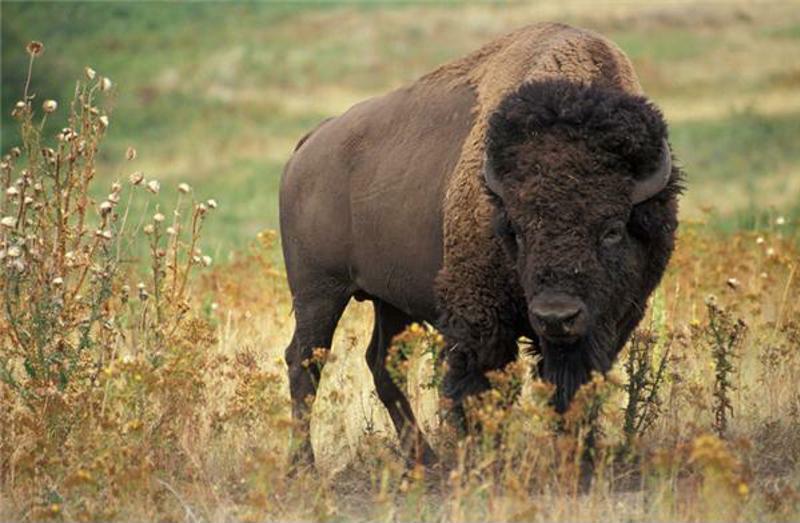 Weighing 2,000 pounds or more, an adult male bison is a formidable force of nature. These animals are largely docile and are relatively accustomed to sharing the park with human visitors. But during mating season or in the event that a bison feels threatened, it could charge and even chase down bicyclists. Other ungulates like deer, elk and moose can also be temperamental, but also represent a threat for unforeseen collisions. As always, remain vigilant and attentive when biking. While biking in an area as wild as Yellowstone does come with special caveats, it's also one of the most exhilarating places to explore on the map. You can bike across sweeping meadows, through dense pine forests and find overlooks that stretch for mile beneath. To fully capture the beauty of the park, you certainly won't want to forget your camera. For easy access, keep your smartphone or camera close by with the Ortlieb Ultimate 6 M PRO BLACK Handlebar Bag. You never know when you might come across a hidden hot spring or spot a bald eagle nest, and having your camera at hand is the best way to capture those memories.